The water below the ice remains liquid since geothermal heating balances the heat loss at the ice surface. The pressure causes the melting point of water to be below 0 °C. The ceiling of the subglacial lake will be at the level where the pressure melting point of water intersects the temperature gradient. In Lake Vostok the ice over the lake is thus much thicker than the ice sheet around it. Hypersaline lakes remain liquid due to their salt content. For the lake to exist there must be a hydrostatic seal along the entire perimeter, if the floating level is higher than the threshold. A hydrostatic seal is created when the ice is so much higher around the lake that the equipotential surface dips down into impermeable ground. Water from underneath this ice rim is then pressed back into the lake by the hydrostatic seal. The ice surface is ten times more important than the bed surface in creating the hydrostatic seal. This means that a 1 m rise in the ice surface at the ice rim is as efficient as a 10 m rise in the bed level below it. [clarify] In Lake Vostok the ice rim has been estimated to a mere 7 m, while the floating level is about 3 km above the lake ceiling. 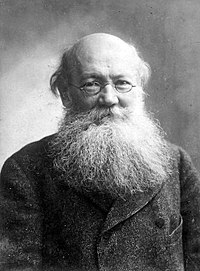 Russian scientist Peter Kropotkin first proposed the idea of fresh water under Antarctic ice. Several lakes were delineated by the famous SPRI-NSF-TUD surveys undertaken until the mid-seventies. A compilation by Siegert et al. (2005) reported 145 subglacial lakes in Antarctica. Since this original compilation several smaller surveys has discovered many more subglacial lakes throughout Antarctica, notably by Carter et al. (2007), who identified a spectrum of subglacial lake types based on their properties in radio-echo sounding datasets. Gray et al. (2005) interpreted ice surface slumping and raising from RADARSAT data as evidence for subglacial lakes filling and emptying - termed "active" lakes. Wingham et al. (2006) used radar altimeter (ERS-1) data to show coincident uplift and subsidence: implying drainage between lakes. NASA's ICESat satellite was key in developing this concept further and subsequent work (e.g. Fricker et al. 2007; Fricker et al. 2010) demonstrated the pervasiveness of this phenomenon. ICESat ceased measurements in 2007 and the detected "active" lakes were compiled by Smith et al. (2009) who identified 124 such lakes. In total around 250-300 Antarctic subglacial lakes are currently known. The realisation that lakes were interconnected created new contamination concerns for plans to drill into lakes. There are currently three projects to directly sample subglacial lakes in Antarctica. These are the British led Subglacial Lake Ellsworth project, the U.S. led Whillans Ice Stream Subglacial Access (WISSARD) and the Russian led Lake Vostok program. Currently no program has gained access (as of Nov 2011) but is expected during the austral summer of 2011-12. On 28 December 2018, the Subglacial Antarctic Lakes Scientific Access (SALSA) team announced they had reached Mercer Lake after melting their way through 1,067 m (3,501 ft) of ice with a high-pressure hot-water drill. The team is collecting water samples and bottom sediment samples down to 6 m deep. There is also evidence that there are subglacial lakes outside of Earth. Evidence of subglacial lakes on Jupiter's moon Europa has been found. Not all lakes with perennial ice cover can be called sub-glacial, however, as some are covered by regular lake ice. A criterion for glacial ice is that it flow. Ice needs to be approximately 30 m thick to start flowing, and so frozen-over lakes are unlikely to ever transform themselves into subglacial lakes. A subglacial lake on Mars was discovered in 2018. ^ Siegert, Martin J.; Ellis-Evans, J. Cynan; Tranter, Martyn; Mayer, Christoph; Petit, Jean-Robert; Salamatin, Andrey; Priscu, John C. (2001). "Physical, chemical and biological processes in Lake Vostok and other Antarctic subglacial lakes". Nature. 414 (6864): 603–9. doi:10.1038/414603a. PMID 11740551. Retrieved 29 January 2011. ^ Muzyka, Kyle (11 April 2018). "Super salty lakes discovered in Canadian Arctic could provide window into life beyond Earth". CBC News. Retrieved 11 April 2018. ^ a b Erlingsson, U. (2006). "Lake Vostok behaves like a 'captured lake' and may be near to creating an Antarctic jökulhlaup". Geogr, Ann. 88A (1): 1–7. doi:10.1111/j.0435-3676.2006.00278.x. ^ a b "Appeal to the Duma on Lake Vostok, Antarctica" (PDF). Antarctic and Southern Ocean Coalition. April 14, 2008. Retrieved 2011-02-10. ^ Wright, Andrew; Siegert, Martin (December 2012). "A fourth inventory of Antarctic subglacial lakes". Antarctic Science. 24 (6): 659–664. doi:10.1017/S095410201200048X. ISSN 0954-1020. ^ Maddie Scientists Just Melted a Hole Through 3,500 Feet of Ice to Reach a Mysterious Antarctic Lake. Maddie Stone, Gizmodo. 31 December 2018.